Update: August 31st - Lindsey appears on the first single "A copy Of A" (below) PLUS "In Two" and "While I'm Still Here". Lindsey Buckingham and Reznor collaborated for only one day in the studio, though the Fleetwood Mac guitarist will be featured on three songs. 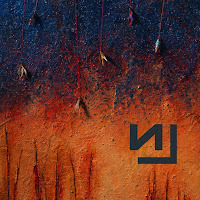 “[Reznor's] process was something like a painting process like I work, where you’re slopping colors around and looking for clues, and it becomes a subconscious process in which the work reveals itself to you," Buckingham said. The album "Hesitation Marks" is out on September 3rd. Now tell me that this isn't the absolute craziest but most musically apparent thing I've ever read? Ought to be incredible. Why will it be incredible? 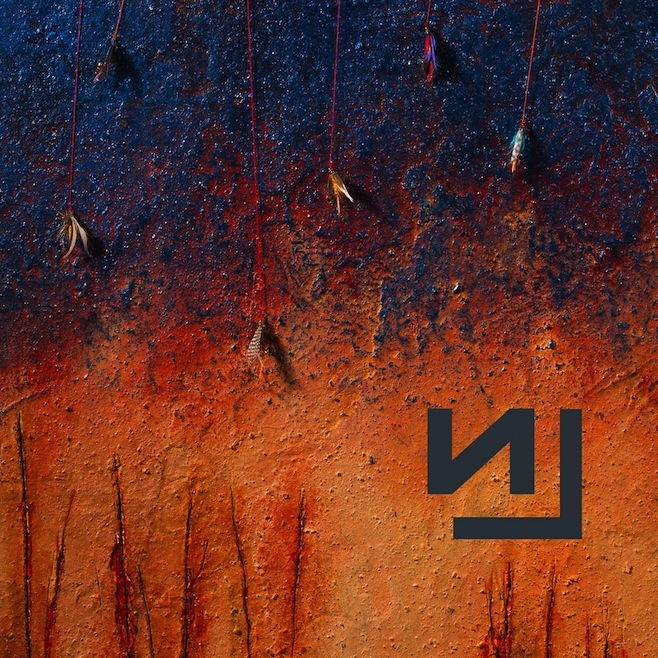 Reznor is more interested in trading on the legacy of NIN than creating good music. I've aways thought a Reznor/Buckingham collaboration would make a great deal of sense. I just never thought it would actually happen. So, when's Peter Gabriel gonna get in the mix too? I love Trent Reznor's score for the film "The Social Network" much better than I like his songs. This song sounds like his writing skills are kind of worn out. Jack White, WTF? Certainly Stevie deserves a better singer to duet with. Always thought she would be great singing with Michael Stipe. Love listening to Trent fanboying all over Lindsey! And yeah, Jack White - LB collaboration would also have a potential to be amazing - two incredible guitarists and producers joining forces? How interesting might that be? jack white would be amazing with stevie! Just listen to his Loretta Lynn album Van Lear Rose. He is an amazing producer, performer! Lindsey once said to me that he'd love to work with Jack White. It was the first question that he answered on video from hotelrooms during the UTS tour.they were uploaded to his website in 2007 or 2008. And then they disappeared. If anyone captured those back then, please let me know. I would have sworn he featured on the track "Satellite". I did not recognize him at first on "Copy Of A". The other two were pretty clear. Nice, and good that he teamed up with more of an indie artist, which he is himself too, imo. I love it.